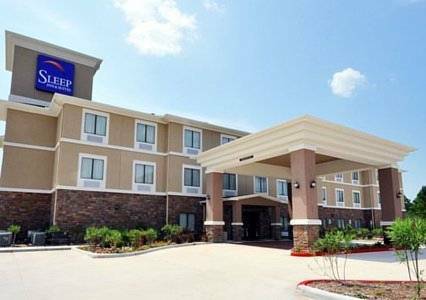 Dream better at the award-winning Sleep Inn and Suites Houston I-45 North hotel in Houston, TX. A recipient of the Choice Gold Hospitality Award, our 100 percent smoke-free and upgraded hotel is near Cynthia Woods Mitchell Pavilion, UTI, Toyota Center and Minute Maid Park. Amenities include free WiFi, free ample parking, free hot breakfast, meeting room, fitness center, outdoor pool and laundry facilities. Your guest room is a simply stylish sanctuary that lets you refresh and sleep soundly. It features a refrigerator, microwave, coffee maker, hair dryer, desk, iron and ironing board. Also, earn rewards including free nights and gift cards with our Choice Privileges Rewards program. Charge for smoking in hotel is USD250.